Are you a top 20% farm manager? I recently came across a great article that Dr. Kohl wrote in April of this year that discusses a bank who’s implementing a “management factor” into their loan analysis decisions. Obviously, this is hard to do as it’s not the numbers-based analysis that accompanies traditional “yes or no” lending decisions. Dr. Kohl highlights four key attributes of top-notch farm management. Rather than simply reciting the article, I’ll let you read it yourself here. While not surprising, I do find it shocking that over 80% of farms don’t complete what I would consider standard business analysis. Based on the criteria and statistics above, are you in the top 20% or bottom 80% of farms? The statistics that show that approximately 80% of farms don’t conduct what I consider basic farm business analysis (cost of production budgets and post-harvest accrual analysis). I have had a number of a ag lenders reach out to me and confirm this is very close to what they see in the real-world. Building up your management “factor” and financial analysis skillset doesn’t magically happen. I recently had a farmer ask me about the time commitment required to use our software. I told him we’ve built the software with the goal of it taking 2-3 hours of initial setup, 1-2 hours of setup prior to each growing season, and 15-45 minutes every two weeks during the growing season. His response, “I don’t have time for that during the growing season”. Assuming that he works 50 hours/week in-season (likely more), this process would consume .25-.75% of his time. There can also be a financial commitment associated with the business side of the farm. I know of 4 successful farmers (based on a simple working capital-to-sales metric of 75%+) within 30 miles of my office that each pay $1,500-2,000/year to meet with a farm management instructor to go through their accrual financial performance a couple times per year. A couple of these farms are debt-free. They don’t need to do this! It’s simply an investment they proactively make every year. Is their financial success directly attributed to meeting with this instructor? Heck no. They have the following traits. Back to the producer that doesn’t have the time to invest in this farm financial analysis. A handful of successful non-farm businesses I know invest 5-10% of their revenue in tools and professional services related to business/finance management. The owners of these businesses spend up to 50% of their time on this analysis and strategizing. I know it’s a bit of an apples-to-oranges comparison here, but if a farmer isn’t willing to invest 5% of their time and 1-2% of their expenses in solidifying this “management factor” it’s going to be hard to be better than average. And in a business, like farming, where prices tend to oscillate around cost of production……you owe it to yourself, your family, and your farm to strive to be better than average! I’m a firm believer that being better than average can equate to multiple million dollars of gained net worth over a farming career. If you aren’t busy with planting/spraying/harvest yet, you likely soon will be. These activities will always be taking your priority. Don’t let that stop you from thinking of ways that you can invest your time in boosting the business side of your operation. At the end of the day, becoming better than average doesn’t just happen. You need to make it happen! 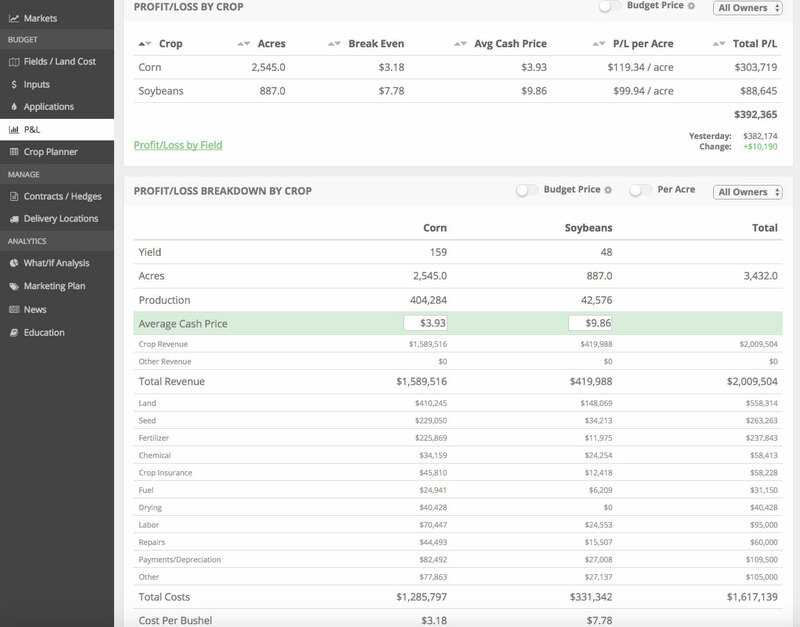 If you’d like to see if our software is a part of that equation for your farm, sign-up for a no obligation free trial below.